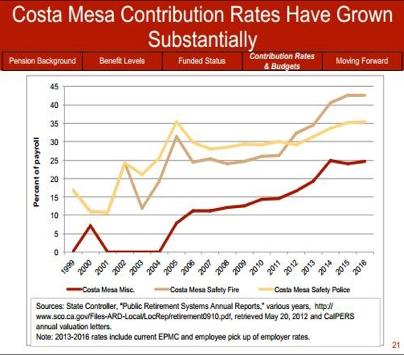 Public Employee Pensions, and the unfunded liability involved, continues to resonate around Costa Mesa. The past council majority did virtually nothing about it. They appointed a committee to "oversee" the issue. They met frequently but offered no viable solution. That committee will now be blended with the Finance Advisory Committee and the joint group will have a new, as-yet undefined, charter. 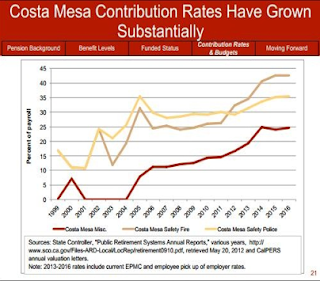 In the meantime, public employee pensions continue to be the topic of conversation nationwide. I present to you this link, HERE, to an entry recently published by the Association for Los Angeles Deputy Sheriffs that discusses recent events in San Jose and Dallas. I offer no solution to the pension unfunded liability issue. I do offer this article for you as perspective - food for thought. 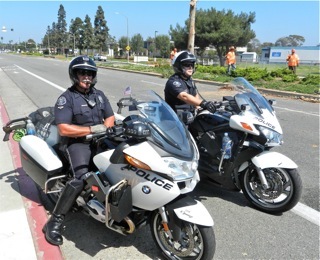 And, I offer my thanks to the men and women of the public safety organizations that serve our city - the Costa Mesa Police Department and the Costa Mesa Fire Department - for their unwavering service and dedication to the residents of this city.